Aurenis d.o.o. will be closed from 1st May until 3rd May 2019 due to the National holidays. We are informing all our business partners that we have moved to a new location and changed our address. 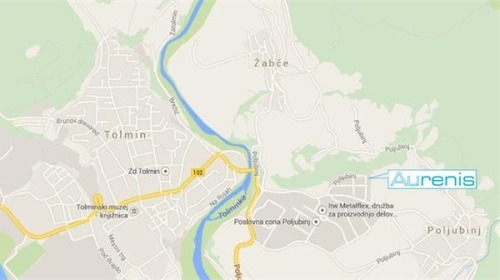 Our new address is Poljubinj 112, SI-5220 Tolmin. We inform you that the sole proprietor Srebrni loti Renato Škoberne s.p. has transformed into another legal form - limited liability company (Ltd.). ©2012 Aurenis d.o.o. All rights reserved. This page only uses django_language cookie for remembering your display language of choice.